All important booking details at glance! 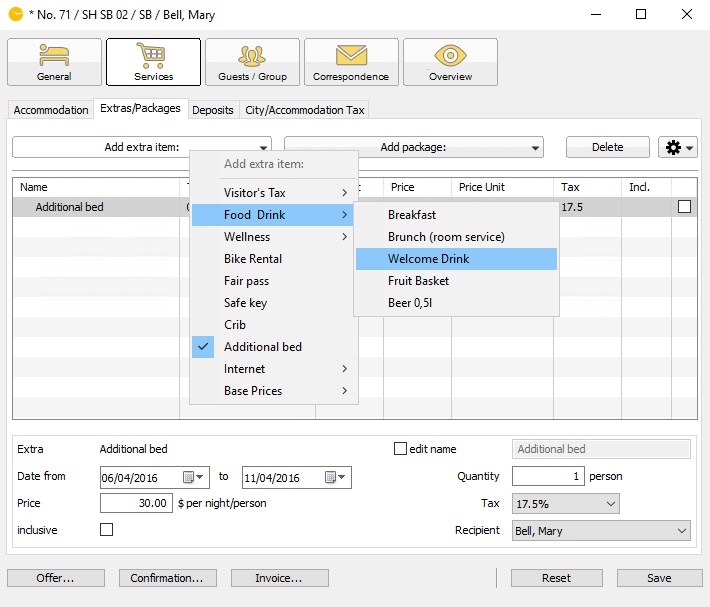 With just a few clicks you can display and edit all important Informations and details concerning a booking. 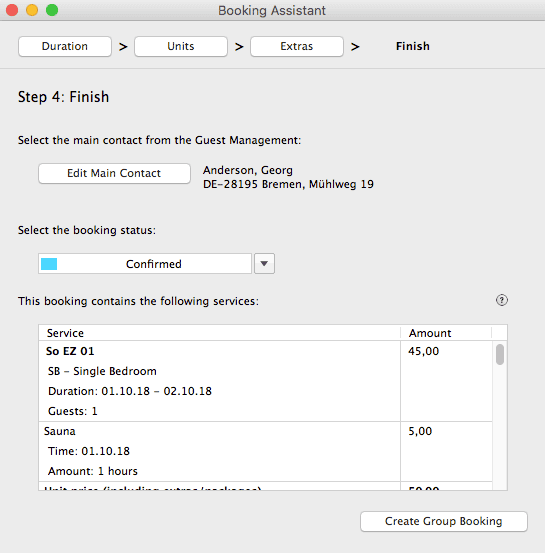 Create new bookings in a flash using the menu bar, a keystroke combination, via drag & drop in draw mode or using our booking assistant. You can individually modify all data for every booking. But that's not all. The booking window contains all information and tasks relevant for the booking which you need from day to day. 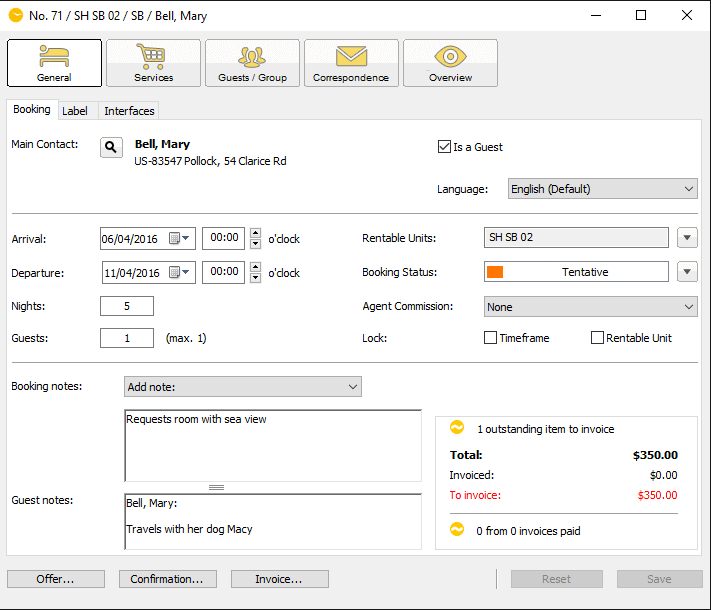 Add guests to a booking. They can be different for the main contact e.g. when the invoice for this booking will be sent to a company while Mr. Smith is your actual guest. Add tags or individual labels to bookings that will be displayed in the reservation schedule. Manage and keep track of deposit- and partial payments. Add extra items and packages for special offers or deals to a booking. Take down booking notes which will also appear and may be exported in various lists. 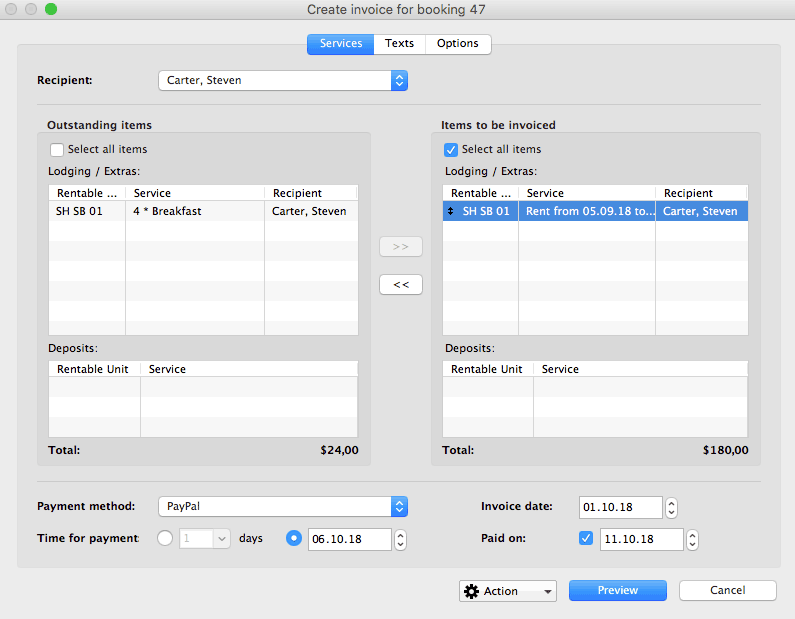 When writing an invoice you also have the possibility to invoice all services separately and to different invoice recipients. Partial invoicing - made easy!